Considered a living fossil, the ginkgo tree has no known living relatives and has endured for millions of years with little change. In fact, ginkgo is the oldest surviving species of tree known to exist, with a botanical history spanning more than 200 million years. This demonstration of resilience, combined with its antiquity, has granted the tree many symbolic meanings throughout the world. It has become a symbol of strength, hope and peace for many. For centuries, the ginkgo tree has served as a symbol of hope and peace in its native land of China, and that representation is widely demonstrated in Chinese literature and art. One of the first depictions of the tree in this capacity exisits on a mural in an ancient tomb. Created late in the 5th century A.D., the image uses the ginkgo tree to represent the end of a politically unstable period in China's history and a movement towards peace. The artists of ancient China often pictured the Buddha's Dragon Tree as a ginkgo tree, as well, further cementing its place as a historical symbol. The tree continued to appear throughout Chinese culture and was always associated with an optimistic view of the future. 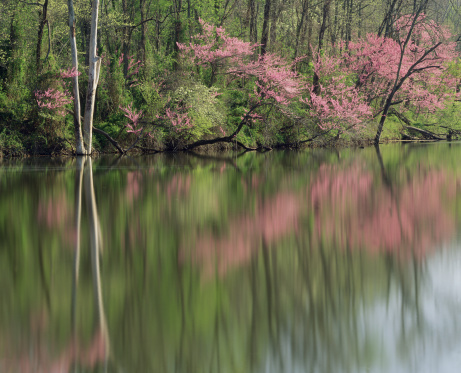 Chinese monks ultimately introduced the tree to Japan, where it remains very popular in temples and tea gardens. In the now infamous events of August 6, 1945, the United States dropped a nuclear bomb on Hiroshima, Japan. Near the detonation site were several trees, 170 of which survived the blast. Six of these trees were badly damaged ginkgo trees, which are now known as hibaku in Japan. Hibaku is a Japanese word that means "something that has experienced a nuclear bomb." Even though scientists predicted that nothing would grow at the site for 75 years, the ginkgo trees and several others fully recovered, and ginkgo is now regarded as a symbol of endurance and vitality. One of the ginkgo trees that survived the atomic bomb explosion in Hiroshima stands near the center of the blast site in a location now known as Peace Park. Dubbed the "bearer of hope," this particular tree has prayers of peace engraved in its bark. 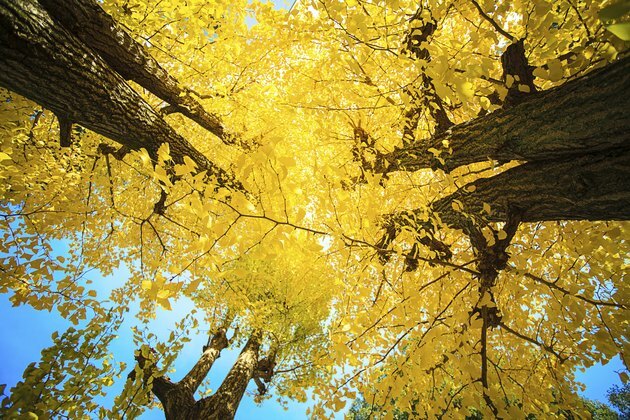 Even before surviving a nuclear blast, however, people valued ginkgo trees for their incredibly long lifespan, attributed in part due to their remarkable resistance to disease and pests. Some specimens are reportedly more than 3,000 years old. If you live in the climatic conditions of U.S. Department of Agriculture plant hardiness zones 3 through 8, you can enjoy ginkgo in your own garden. The tree thrives in full sun and tolerates most soil types. Though somewhat flexible, it does best in moist, sandy soil as long as it has adequate drainage. Its spring flowers are unremarkable, but its unique fan-shaped leaves provide shade during the growing season and color contrast when they turn golden yellow in fall. Because it withstands urban pollution, ginkgo is a popular tree for city streets and parks. If you decide to plant a ginkgo tree, buy a male specimen. Female ginkgos produce fruit-like seedpods that drop to the ground and break open in autumn, releasing an odor considered unpleasant and comparable to that of Limburger cheese. 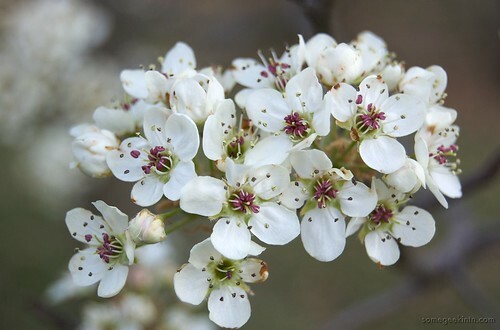 Are Bradford Pear Trees Poisonous to Humans?